Some children love to travel, and nothing will put them off, for others, though, just a few moments in a car, airplane, or boat is enough to get them feeling queasy. Motion sickness is very common, about a quarter of children get it at one time or another. It appears that infants and toddlers aren’t as susceptible to motion or car sickness as children aged from 2 to 12. The exact causes of motion or car sickness are not fully understood, and there is no clue as to who will be affected by it and who won’t. Car sickness, sea sickness, and air sickness are basically all the same and are due to the brain’s inability to interpret the messages being sent it from the eyes, ears and the nervous system. You might have seen it in your child if they have been sitting low in the back seat of the car with their head buried in a book or playing a game not looking out the window. What’s happening is the inner ear is sensing the motion, but the eyes can’t, and the brain has difficulty processing the contradictory messages. The result is an upset stomach, tiredness, often a cold sweat, along with a loss of appetite, and in the worst cases vomiting. You an also get motion sickness on rides at amusement parks. There are a few simple things you can do to reduce the chances of our child suffering from motion sickness while traveling. The basics of dealing with car sickness work with airsickness and seasickness too. Plan meals. Before you travel, don’t give your child a large meal or anything that is spicy or greasy, it’ll just make any motion sickness worse. If it’s going to be a short journey, postpone eating until you get to your destination. If the trip is longer, and your child needs to eat something before the journey, try and make it something bland such as a drink and crackers. Untangle the brain. Try not to give your child’s brain the mixed messages that lead to motion sickness. Get your child to look out of the car window rather than reading or playing games where they are looking down and can’t see the outside world. Consider playing ‘spotting’ games where you have to look for objects you pass by to encourage your child to look outside the vehicle. Distraction. Some children are more prone to motion sickness than others, and you’ll soon know in which category your children belong. 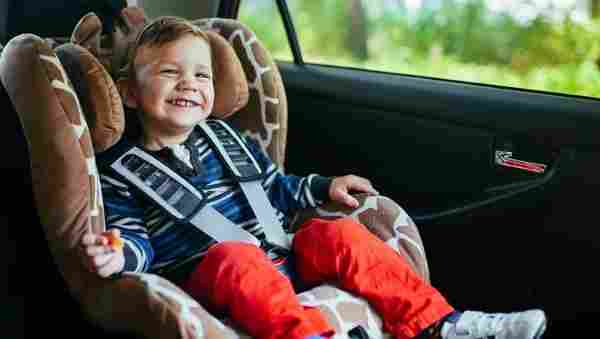 If they suffer from car sickness and realize it, then a good way of preventing the symptoms is to keep your child distracted. Try and keep them talking, singing songs, listening to music, or playing visual games to keep their heads up and looking at the world going by. The air we breathe. 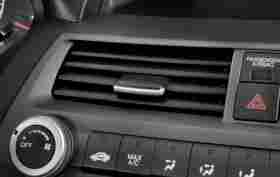 Adequate ventilation in your car can prevent motion sickness, provided it is free from any sharp odors. Smells can sometimes trigger feelings of nausea. One of the remedies for seasickness is to go on deck and get some fresh air. That, along with looking at the horizon is often enough to reduce the symptoms. Medication. There are a number of medicines available to counter the effects of motion sickness that can be obtained at a pharmacy. However, talk to your child’s doctor about medication if your child is particularly troubled by motion sickness. Natural treatments. There are some natural remedies that appear to have success in combating motion sickness. There is a lot of research highlighting the effectiveness of ginger in treating car sickness. 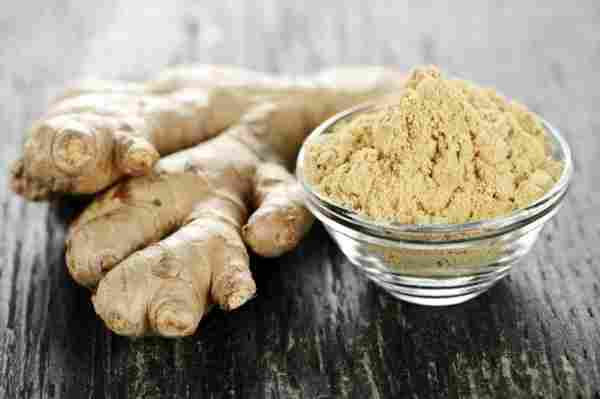 Ginger is an anti-inflammatory and appears to work by slowing down movement in the muscle wall of the stomach. Exponents suggest a half teaspoon of ginger powder in a glass of water before you travel should be enough, or even ginger candy or capsules. Peppermint sweets during the journey can also reduce the chances of motion sickness by calming an upset stomach. Using an aromatherapy scent, such as lavender or mint in the cabin of the car can also help reduce the chances of your child getting nauseous with motion sickness. According to research acupressure bands for the wrist also appear to work for some people. The results can be a bit hit-or-miss, but if your child is particularly prone to motion sickness then its worth a try. How to deal with motion sickness? If you are driving and your child tells you they are not feeling well and they want to be sick, get them to look outside the car and try and focus on an object in the distance. Should the feelings persist stop the vehicle as quickly and safely as possible. Let your child out of the car and get them to walk around to clear their head. If the feelings of nausea as to acute, get them to lie down for a few minutes with their eyes closed. If they have developed a cold sweat put a damp cloth on their forehead. Of course, you cannot get off a moving ship or airplane if your child feels motion sickness. Doctors suggest a straightforward remedy is to get your child to tilt their head to the side when symptoms of motion sickness begin to appear. The idea is to try and get your brain and body messages back in sync. Also, make sure your child’s nose is not buried in their smartphone or tablet during the journey. Regular spells of looking around, or walking around the cabin could be enough to dispel the symptoms of nausea.